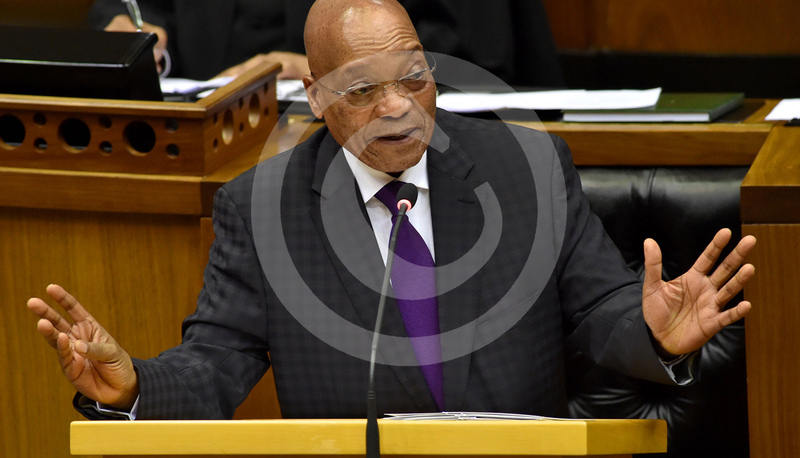 Copyright Amendment Bill in Parliament: Whose Right is it anyway? Should somebody “using” a creative work have the same right to claim royalties from the work as its creator? Should the state have copyright over creative works that it commissions and funds? These are some of the questions at the heart of hearings taking place in Parliament this week over controversial proposed changes to South Africa’s copyright law. By REBECCA DAVIS. Imagine that you are a music composer. You are commissioned by a broadcaster to write the theme music for a television show which becomes a hit: a Muvhango, say, or a Sewende Laan. As things stand, every time that show airs and the theme tune plays, you earn royalties. But if proposed changes to South Africa’s copyright laws go ahead, your right to those royalties could cease the minute you submitted the theme to the broadcaster. This is because the Copyright Amendment Bill could see copyright rest with the institution which commissioned and funded the tune – not the composer of the tune. This was the scenario sketched before Parliament on Tuesday by Nothando Migogo, CEO of Samro, the Southern African Music Rights Organisation. Migogo was addressing the portfolio committee on trade and industry on the first day of public hearings on the Copyright Amendment Bill, at which the concern felt by artists over the legislation was made clear. Migogo did not mince her words. “Artists are dying paupers,” she said. If the Copyright Amendment Bill is to be promulgated in its current form, artists suspect that the possibility of making a decent living in South Africa from creative work may be further reduced. Their major concerns are threefold. The first is the issue of who owns copyright, as outlined by Migogo in her TV theme tune scenario: the body which paid for the work, or the person who composed the work? The royalties which composers can earn from this kind of work currently are not negligible: according to Migogo, Samro currently pays out between R80-million and R90-million annually in this way. The second concern is what constitutes “fair use”, the phrase which provides a loophole in the bill for users to reproduce a creative work free of charge. “Fair use” would include research, private study, criticism and review, and news reporting, among other contexts. Artists contend that this is far too broad, and again will strip them of much-needed revenue. “Fair use is actually not fair,” argued Samro’s Sibongile Khumalo. Lazarus Serobe, who represents the rights of writers at Dalro – the Dramatic, Artistic and Literary Rights Organisation – took a similar tack. Serobe suggested that the Copyright Amendment Bill places too much emphasis on giving free access to creative works, and not enough on the benefit to creators of those works. The bill does provide for artists to approach the courts if they feel that their rights are being infringed upon, but numerous speakers told Parliament that this was insufficient protection – especially given the prohibitive cost of litigation. The University of Stellenbosch’s Professor Sadulla Karjiker suggested that the bill in its current form “only helps privileged artists”. But other copyright experts disagree. Dr Tobias Schonwetter, from the University of Cape Town, told the committee that the notion of “fair use” has flexibility on its side and is in line with international best practice. Schonwetter pointed out that there are obvious limits to its application: “You cannot just buy one book and make 2,000 copies,” he said. One of the reasons why South Africa’s copyright legislation urgently needs an update is because it was drafted in 1978, when the current advances in technology were not yet foreseen. This was a point stressed by US copyright expert Professor Sean Flynn, who argued that the notion of “fair use” in the draft bill should be extended even further in order to cover the digital realm. Flynn pointed out that it is only because of the US’s accommodating copyright legislation that companies like Google have been able to thrive. Google’s search function and language applications both use copies of copyrighted work. The Google Books function takes it even further, with Google having digitised the books of university libraries in order to make them available for research purposes. This does not substitute for purchasing the book on the market, Flynn argued, because only portions of the books are made available. “When you introduce fair use you will be giving a green light for innovators,” Flynn told the committee, suggesting that it was a major way to prevent “the Mark Shuttleworths and the Elon Musks” from taking their ideas to the US. Flynn added that economic research carried out over 40 years in different countries had found that countries which have “more open copyright exceptions” consistently do better, attracting more research and development and producing more in terms of creativity and technology. But artists are understandably wary of the possible implications for their already tenuous livelihoods. A third major concern is the copyright rights the bill would grant to “users” as well as “authors” of creative works. The bill’s wording provides for royalties to be payable to “the user” of a literary or musical work in addition to its creator – a notion which has raised hackles in the creative world.